India is currently experiencing a boom in the online shopping industry, which has led to websites like Amazon and Flipkart come up with good deals and categories for their users. These websites have totally changed the way people shop and have made it quite convenient actually. Considering the evolution of smartphones in the country, these websites were quick to come out with their apps to increase user base. Most e-commerce websites have their own apps, which are free to download and easy to use. Here is the list of 5 must have apps for those who like to shop online from the convenience of their homes. Considered to be one of the top e-commerce websites, Amazon enjoys a large user base in India and around the world. The website was quick to realise the growing user base of smartphones and was one of the first to come up with an app of its own. This app is literally an extension of the website and brings all the facilities offered by the website to your smartphone. Browsing products, reading reviews, seeing alternatives and placing orders is pretty straight forward just like the original website. Moreover, the app keeps track of all orders placed by the users, regardless of whether they were placed from a desktop or phone itself. Amazon also comes up with interesting offers for its app users from time to time. Counted among the top e-commerce websites in India and top rival of Amazon, Flipkart is not too far behind when it comes to user base. The website also took a step towards increasing its user base with an app that is literally an extension to its website. 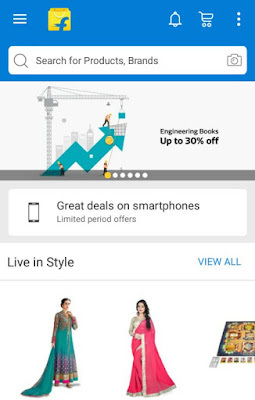 Flipkart app lays out the whole website including the categories in a more comprehensible mobile layout, which makes it easier to use than the mobile browser. This app also make it pretty convenient to place orders on the go and keep track of the same. It sends push notifications to the handset when the order has been dispatched, delayed or delivered to make it convenient for the user. Snapdeal is not as old as Flipkart or Amazon but has already managed to be as popular as these stalwarts when it comes to the user base. This website has also launched a website of its own that comes with appealing material design and is free to download. 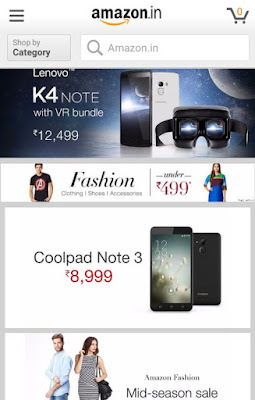 With an easy to use interface and good offers, the website was soon counted amongst top 3 along with Amazon and Flipkart. Placing an order through the app is as easy as it is on the website and is designed to switch users to app from the browser. Just like its rivals, this app also allows users to keep a track on their orders without lifting a finger. If you are one of those users who shop online for their wardrobe and apparels, chances are that you have used Myntra atleast once. While the website has been immensely popular with online shoppers in India, it decided to go app only for a brief period and focus completely on the app. This has made the Myntra app one of the most easy to use and preferred app with online shoppers. While, the website has gone back up on the web on popular demand, the app still enjoys a massive following. 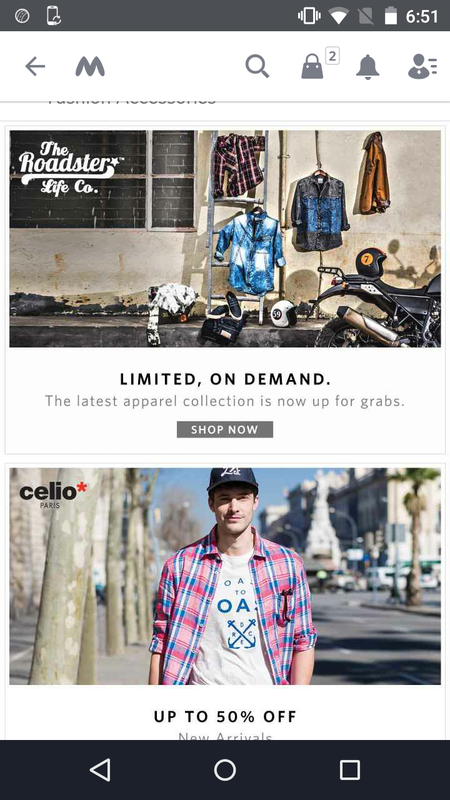 To keep its app users interested, Myntra is known to come up with ridiculous offers for app users only. 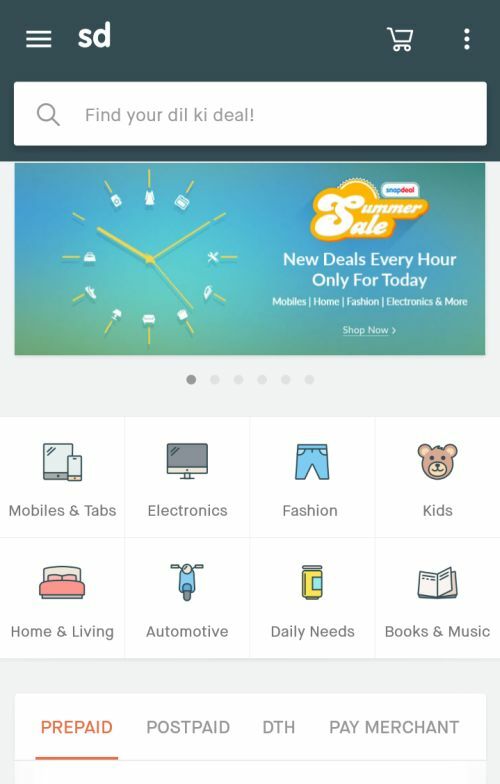 If you are someone who shop their entire wardrobe online, Myntra is a must have app in your smartphone. One of the most trusted and reliable e-commerce website since time immemorial has been eBay and no new website can take it away from eBay. 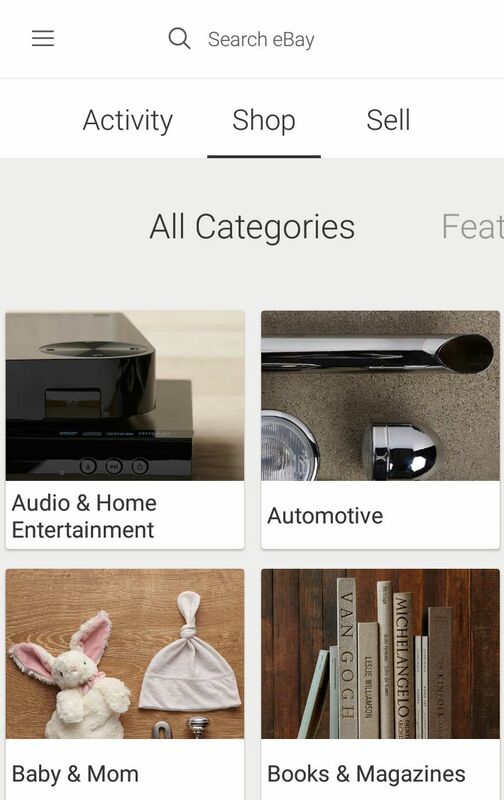 To be able to ward off competition from newer websites, eBay too came up with its own free to download app. This app brings all of the facilities offered by the website to your handset, including the bidding. Sellers can put up products that are limited quantity or rare for action and sell it to the highest bidders. This is a good system for those who are selling vintage and classic products. A must have app for casual online shopper. This is the list of the top 5 must have apps for online shopper in India and covers almost all categories of lifestyle and daily needs. 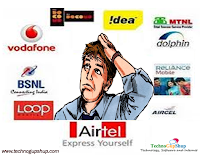 With so many websites and app to choose from, some users are bound to get confused where to order their products from. This is where, PriceRaja app comes to the rescue as it lists the price on all e-commerce website at one place and allow users to get a look at the best price available.